A Liverpool domestic abuse charity is encouraging people to donate £5 to help light up its Christmas tree. Centre 56 has been running for 45 years, specifically helping children and families who have been affected by the issue. 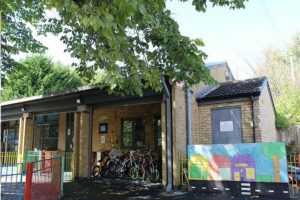 The centre, which moved to Kirkdale in 2011, provides nursey and an after-school club run by staff with years of experience. It also provides support for family members dealing with abuse at home. As a service that runs entirely from donations, it is always in need of extra support. For the first time this December, Centre 56 has decided to fundraise using a virtual Christmas tree, which anyone can help to light. Giving will provide children at the nursery with six hot meals. Project Manager, Claire Essame, told JMU Journalism: “Usually at Christmas we get a lot of donations, such as presents, selection boxes and advent calendars, but having the fundraising tree will allow us to be more flexible. The festive fundraiser began just over a week ago and will be on going until Christmas. When asked why people should donate, Ms Essame told JMU Journalism: “We offer a unique service in Liverpool. There are a lot of domestic abuse charities that focus on mothers and children, but our main focus is on the children, who are often the hidden victims. Donations can be made in person or on their website. When someone has donated they will see their light on the tree, and have the option to add a message to go along with it.